No explanation necessary here, just navigate to "Window" and click "Actions" or press Alt+F9 (Option+F9 on a Mac). Simply click "Create new set" at the bottom of the Action window and name this folder which will contain actions you create in this group. Inside your new actions set, click "Create new action" and name the first action you will create for this set. 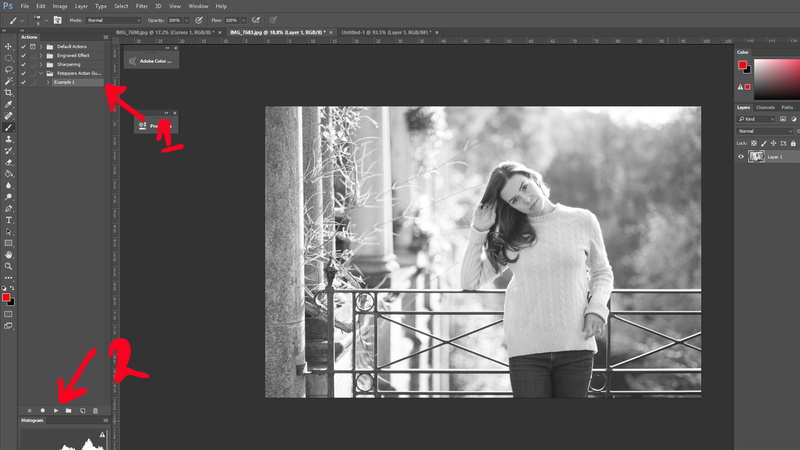 This is the step where you get Photoshop to record each task you perform. For all intents and purposes, there isn't a limit to how many steps you can add for your action to perform when you click it, but complicated actions ought to be created carefully. One aspect to keep in mind when creating your own actions is whether or not what you're doing relies on something that isn't in the action. Every action you create must be self sufficient and everything it needs must be present when you press the action or created by the action in an earlier step. 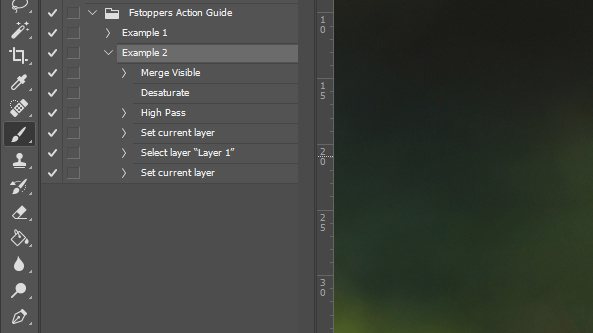 For example, if you have named a layer "skin" and you create an action in which that layer has the midtones boosted slightly, the next time you press play on that action, it will hunt for a layer called "skin." If there isn't one, there will be an error. 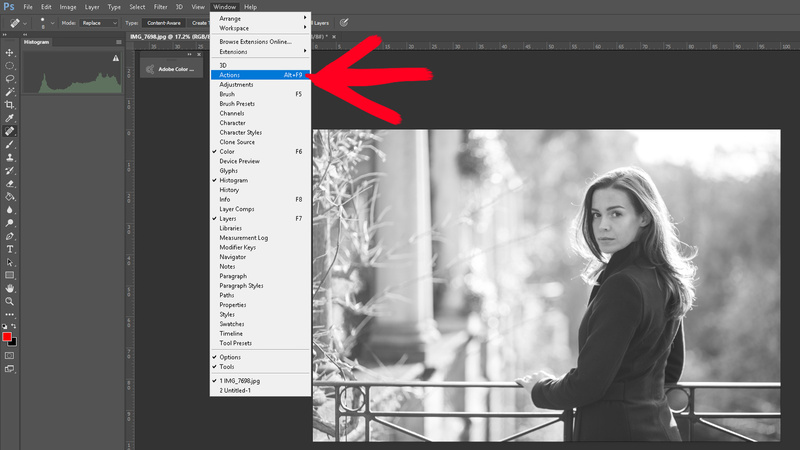 As a simple example, for this action I want to do three things: Firstly, I want to duplicate my background layer which is always a great habit to get in to. 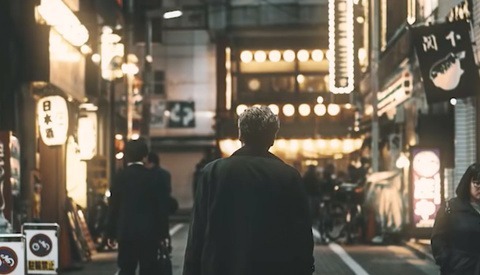 Secondly, I want to use a cinematic technique called "crushing the blacks" which is performed by creating a curves adjustment layer, raising the shadows, lowering the darker midtones, and then raising the midtones back to where they would have been originally. 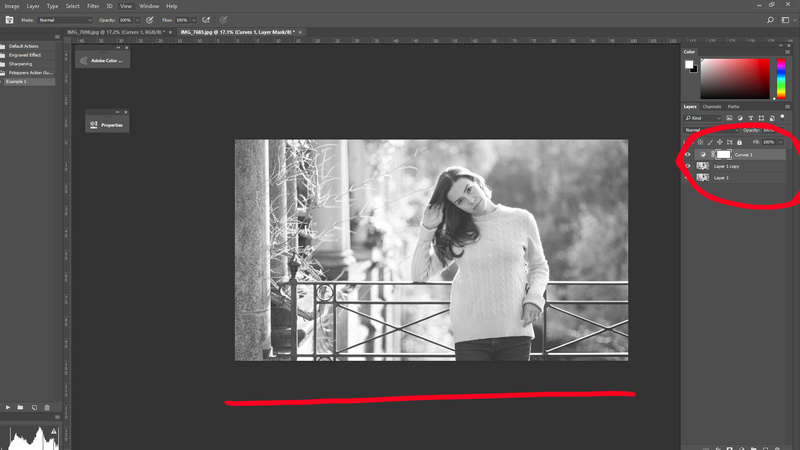 Then, thirdly, I want to crop the image to a 16:9 ratio. I press the record button at the bottom of the Actions window (denoted by number 3 in the image below) or in the pop-up when you name the action and I then perform the three above steps, in order, and finally pressing stop. In section 2 of the above photo, you can see the tasks I am performing, and in section 1 you can see what the action has recorded. Once I press the stop button to the left of record at the bottom of the action panel, everything in section 1 will be what the action performs when executed. 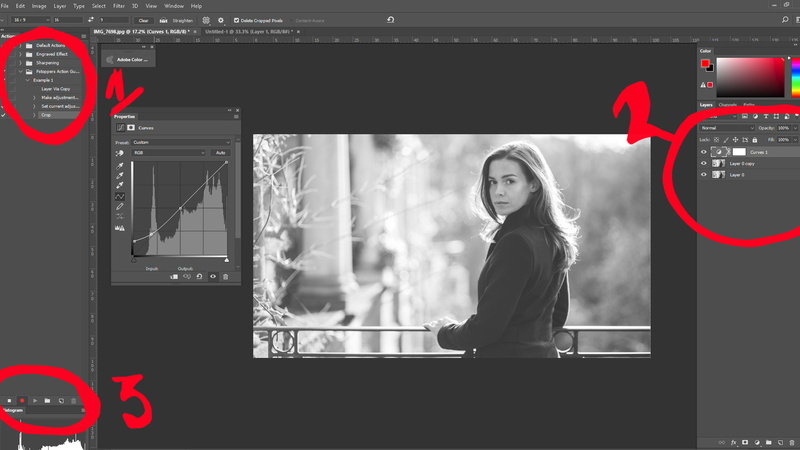 Presently, whichever photo I use that action on will have the background layer duplicated, that exact curves adjustment layer applied and then it will be cropped to 16:9 ratio. It's worth noting that after you have created your action you can select individual tasks listen in the relevant panel and delete them from the action's to-do list. Set layer's blending mode to "Overlay"
Rename layer "Sharpen: Adjust Opacity"
Below is the before and after of this exact action, zoomed in to highlight the effects and left at 100% opacity. It's slightly over-sharpened but that's only to display the result clearer. The number of steps you can build in to an action is more than you'll ever need in my experience. Remember, everything you do will be recorded, from selecting a specific layer to changing the opacity. 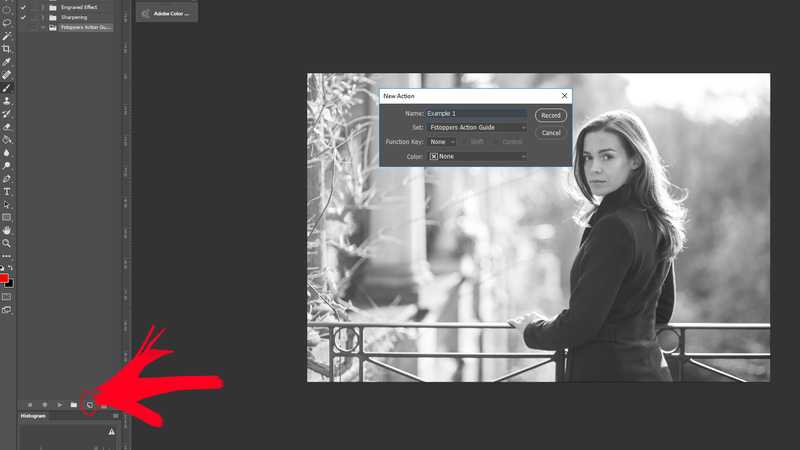 I have built actions for almost everything I do regularly; dodge and burn layers, curves adjustment layers, sharpening, resizing... the list goes on. 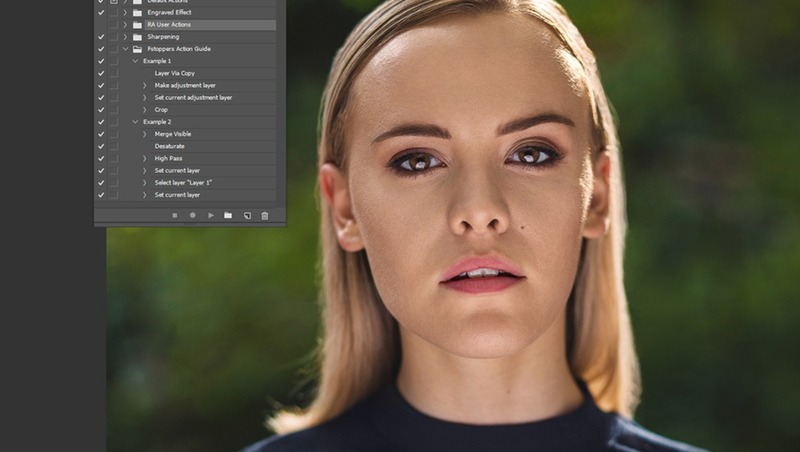 I also use some actions I have downloaded from other retouchers which slightly boost the highlights of skin and make hair shinier for example. The depth to actions is unthinkable and if you can get in to the habit of using them, it can shave large percentages of time off of long edits. I also find action sets remarkably useful when editing a set of images all in the same style as I will often create an action tailored for that particular collection of images to ensure they have the same "feel" to them. Remember you can apply a layer mask that's filled with black to any layer the action creates and then mask it back in after. This guide was intended to be a beginners' introduction and I realize a lot of photographers and retouchers who frequent Fstoppers will already be au fait with actions. If you would like a more comprehensive guide which includes advanced techniques and uses of actions, leave a comment and I will consider a follow up. Converting to LAB and sharpening jut the L channel would do the same thing. what's next ?people learning how to press a button on a camera and selling their photos? OMG!! 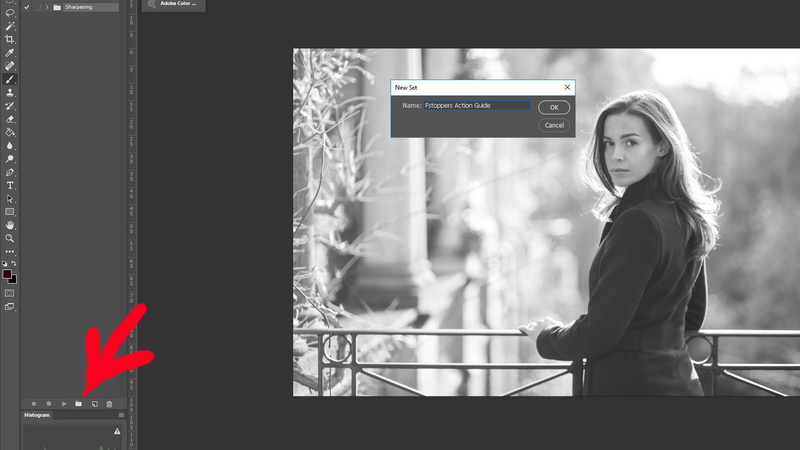 Most of my actions were rendered a bit useless by using the retouching panel (highly recommend, btw). But I still find them incredibly useful when saving out my pics in jpeg form. I have different resolutions & settings for my website, FB, IG, 500px, etc. I just pull up a PSD file, hit the proper action, and the file is waiting in the correct folder for upload.